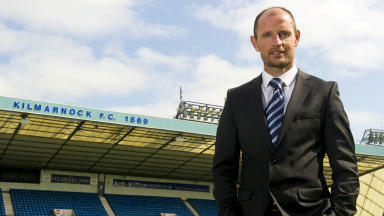 The Rugby Park boss admits he will have to make decisions on trialists soon. 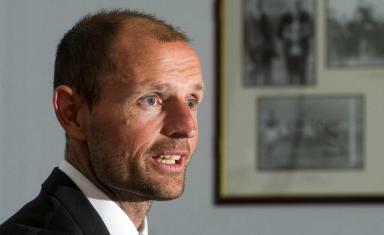 Allan Johnston remains keen to make further additions to his Kilmarnock squad but admits the club must avoid making "mistakes" in the summer transfer window. Darren Barr is the only signing since Johnston took over from Kenny Shiels last month with fellow new arrivals Craig Samson and Antonio Reguero brought in before the Northern Irishman departed Rugby Park. The former Queen of the South boss has assessed several trialists in the past few weeks with three included in the squad for the 2-2 pre-season draw with Carlisle. Speaking about his recruitment plans after the game, Johnston said: “We have only signed one centre-half so we definitely need a centre-half. We need a striker, maybe a wide player and maybe someone in the middle of the park as well. “I don’t know if we will get them in before the Aberdeen game [on August 3] but there’s still a while to go before the end of the transfer window. 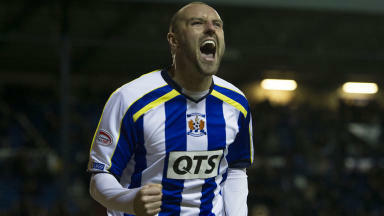 The Killie boss praised the performance of trialist defender Peter Murphy against his former club. And he says talks to keep Kris Boyd at the club remain ongoing although the forward won't feature in Saturday's friendly with Newcastle Under-21s. Johnston said: “We are trying to sort it out. Obviously someone like him would be a great signing but I’m sure there will be other teams interested in him as well. Midfielders Sammy Clingan and Rabiu Ibrahim had to come off against the Cumbrians and their fitness will be assessed in the coming days. Meanwhile Nigerian midfielder Ibrahim's involvement was always likely to be short with the 22-year-old currently observing Ramadan. During Ramadan devotees are expected to refrain from taking in food or liquid from before sunrise until sundown. 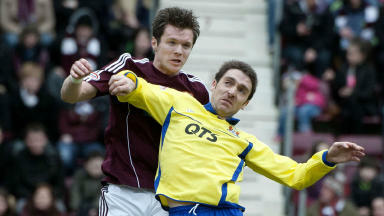 Johnston added: “He wasn’t going to play for long anyway because he isn’t eating. Playing at this time of night isn’t ideal for him as he’s running out of energy but I thought he showed some great glimpses.